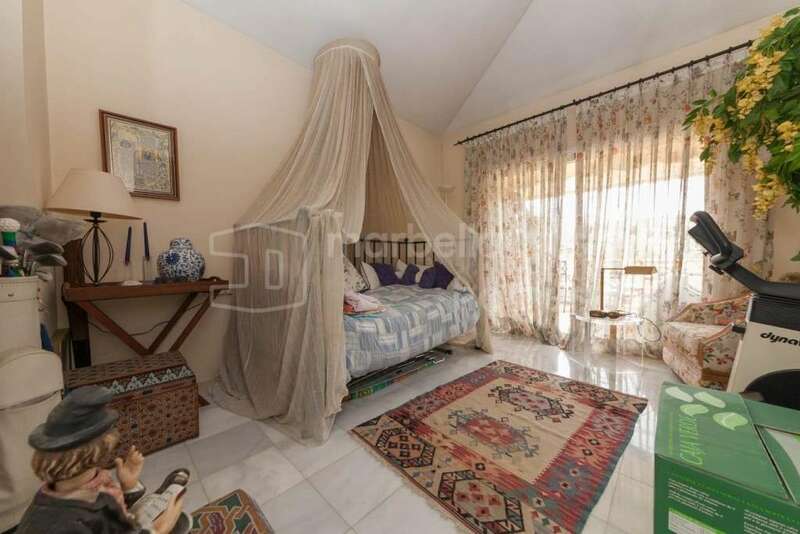 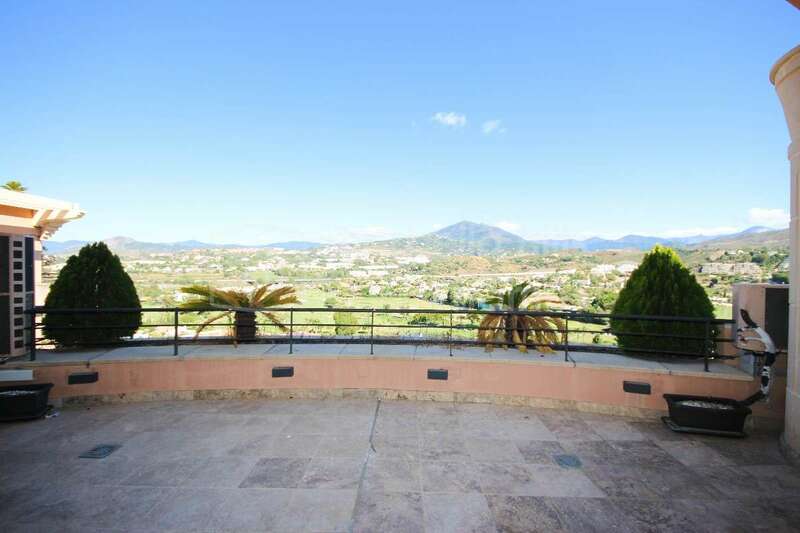 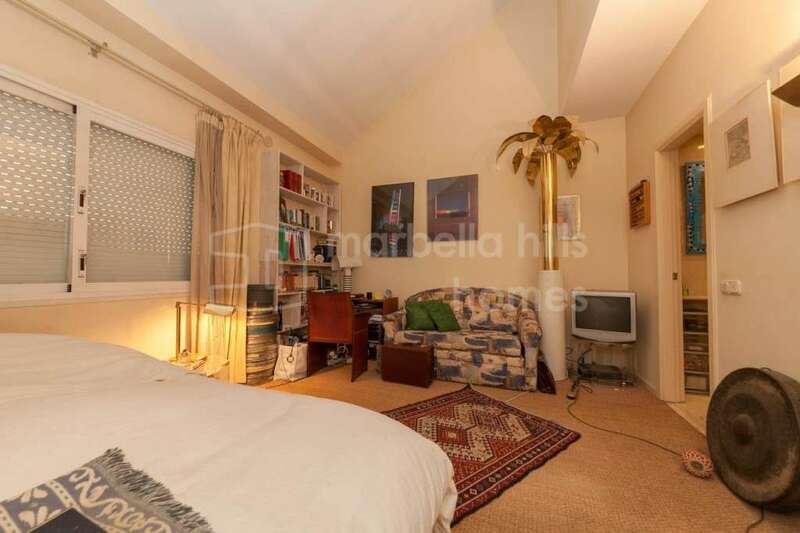 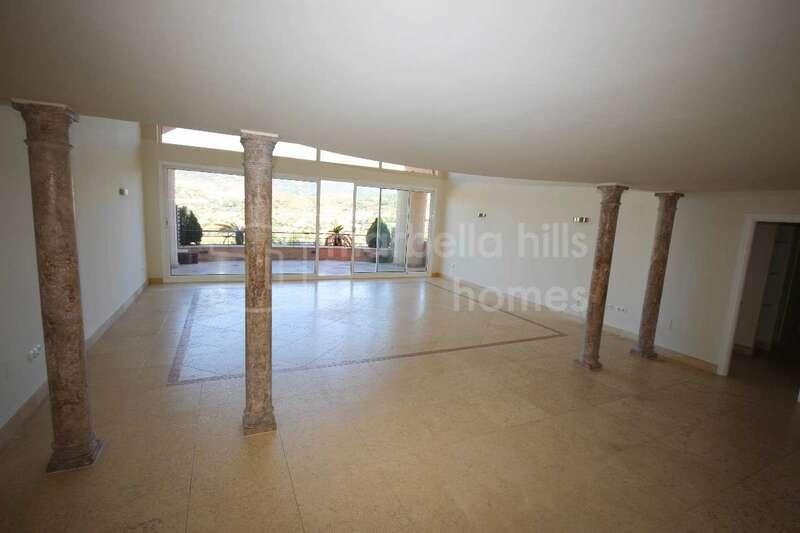 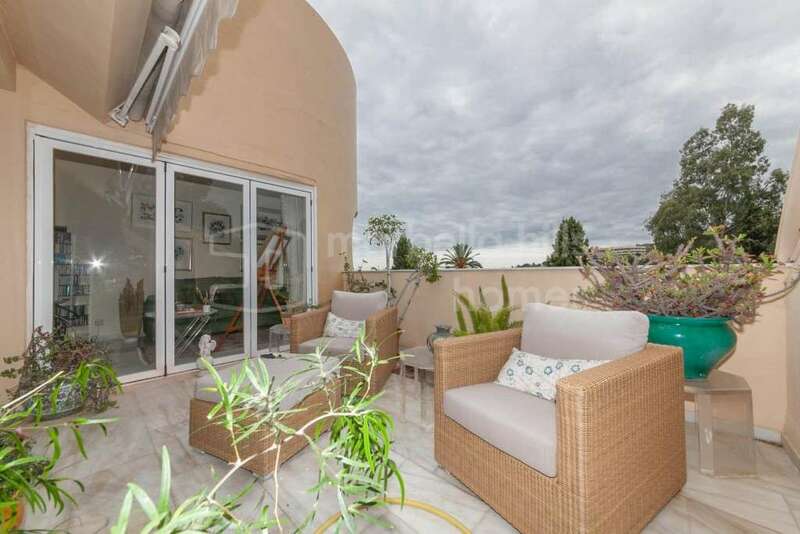 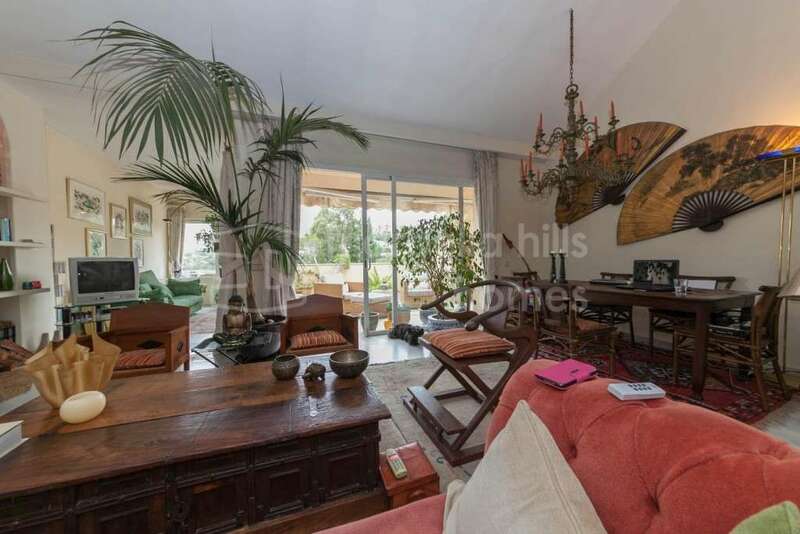 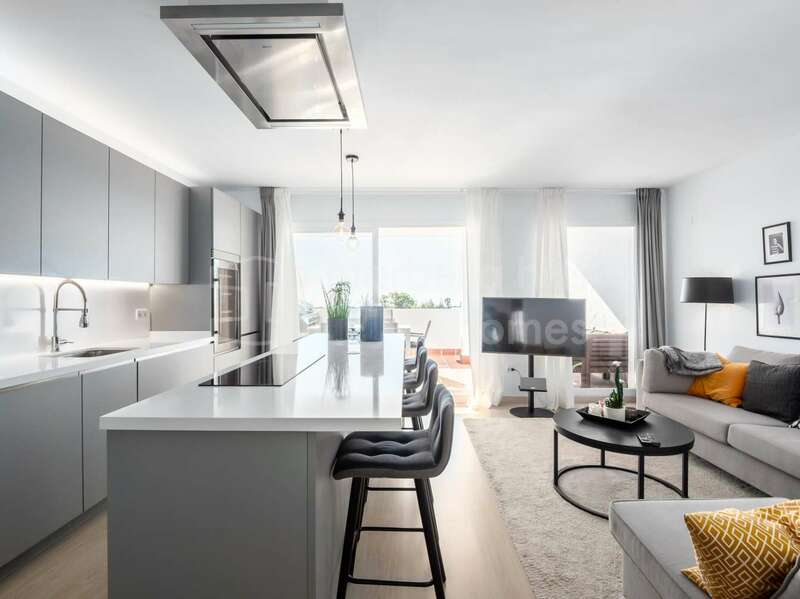 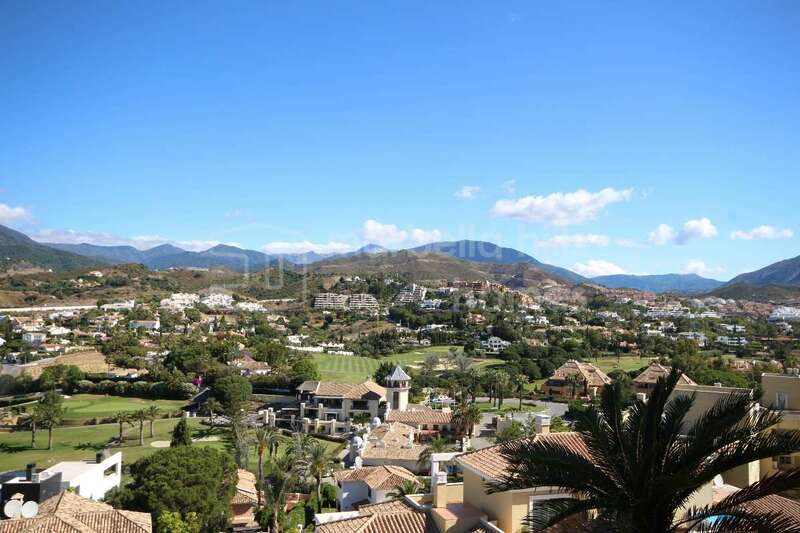 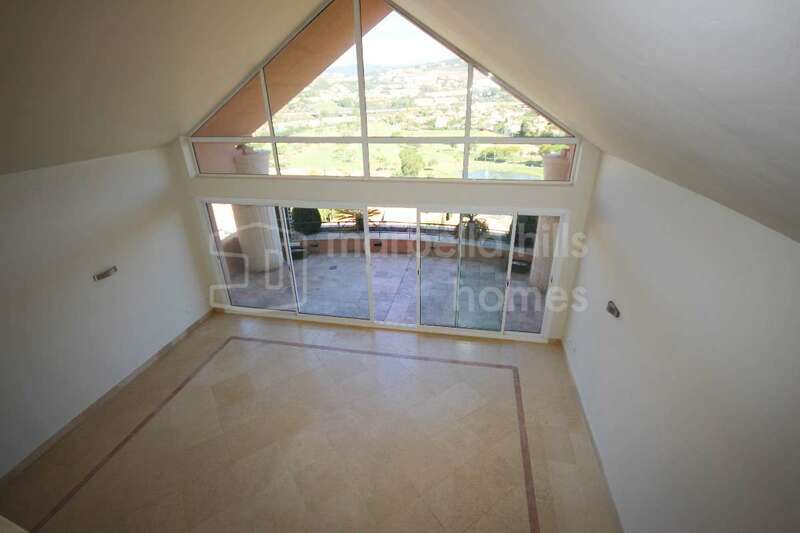 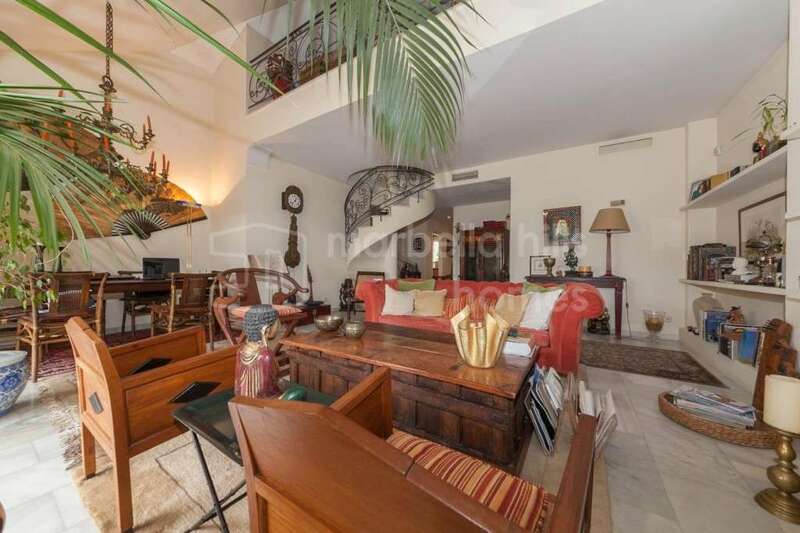 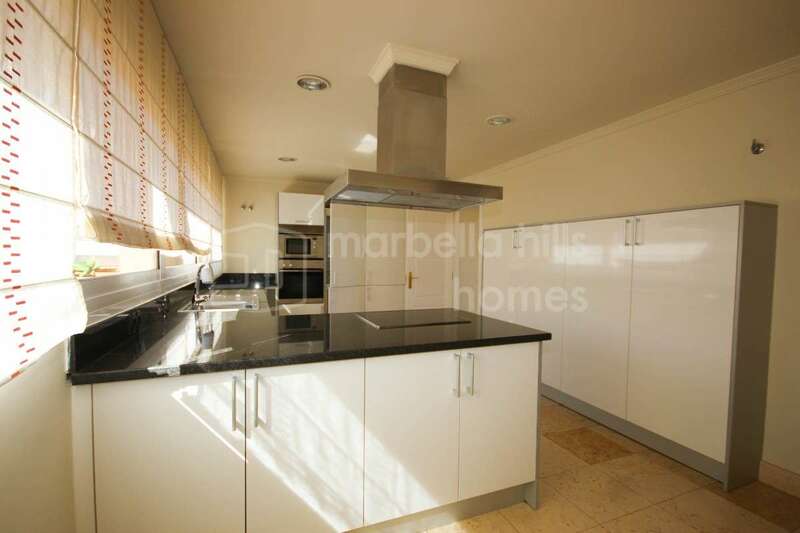 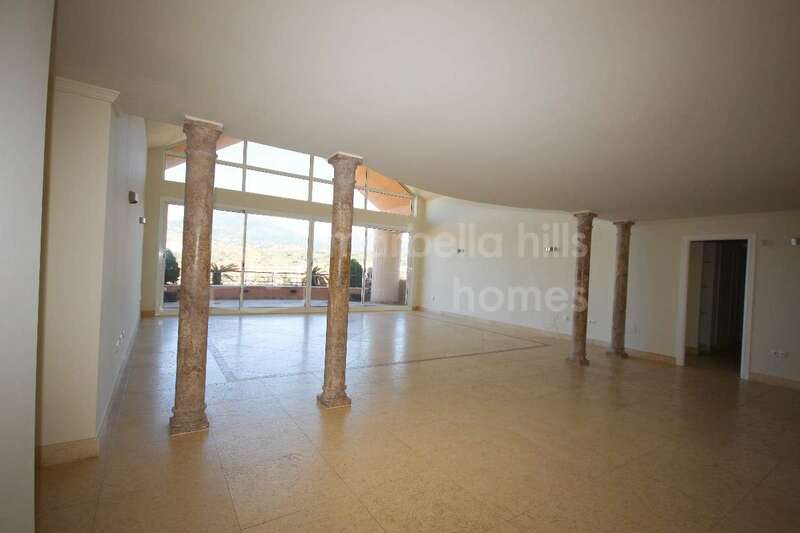 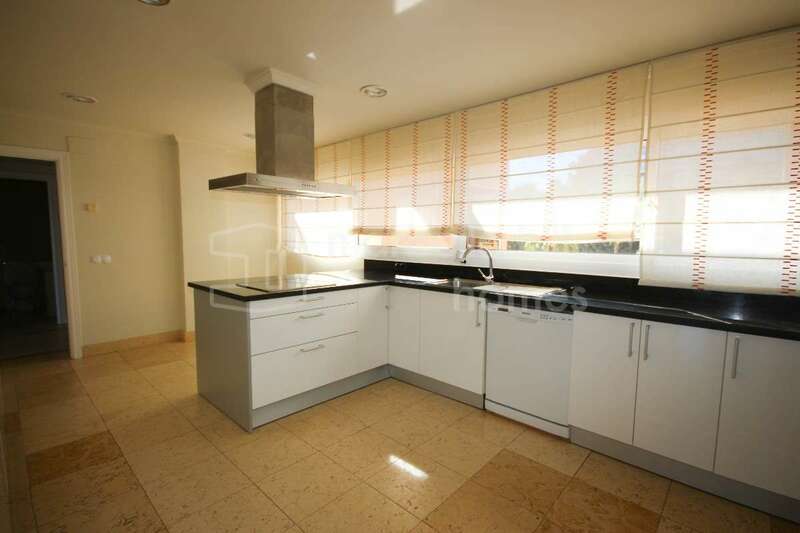 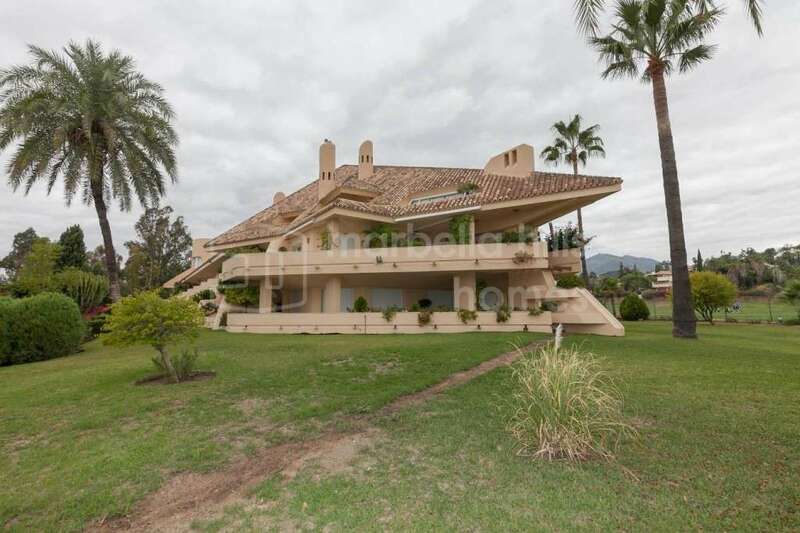 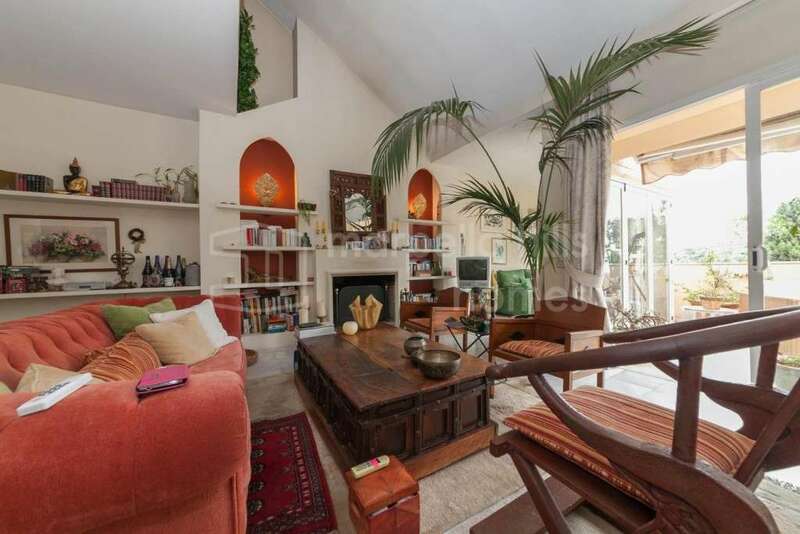 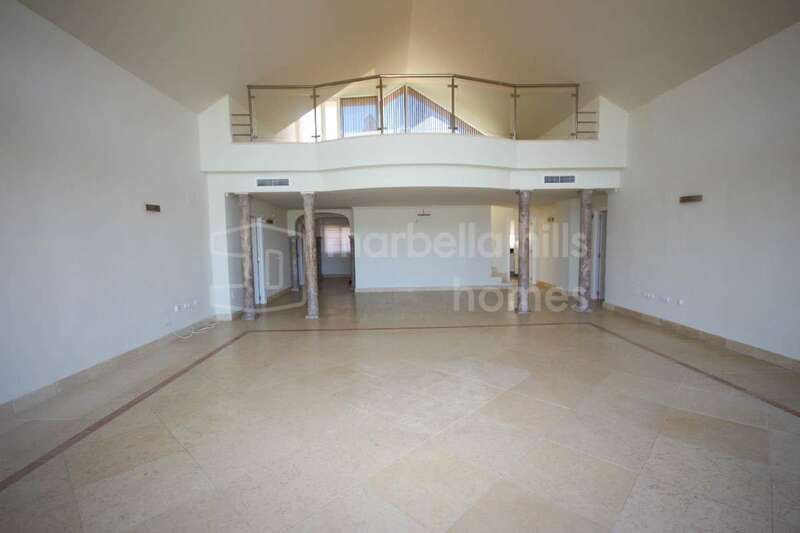 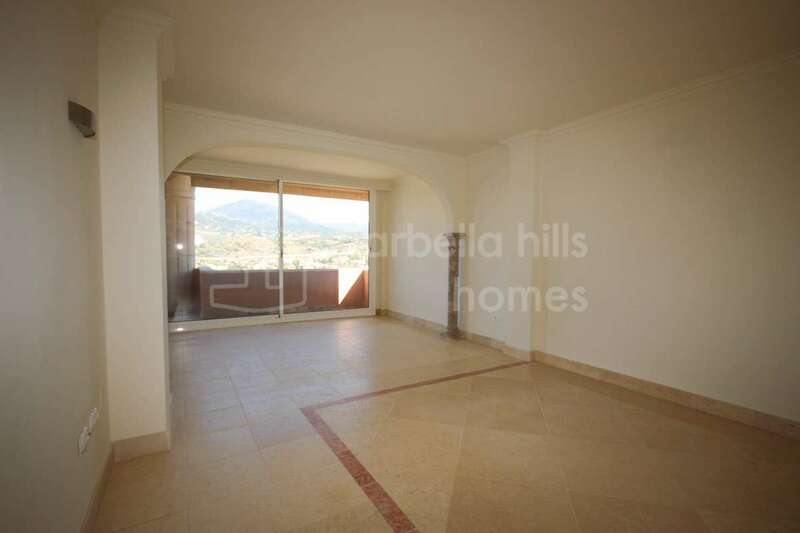 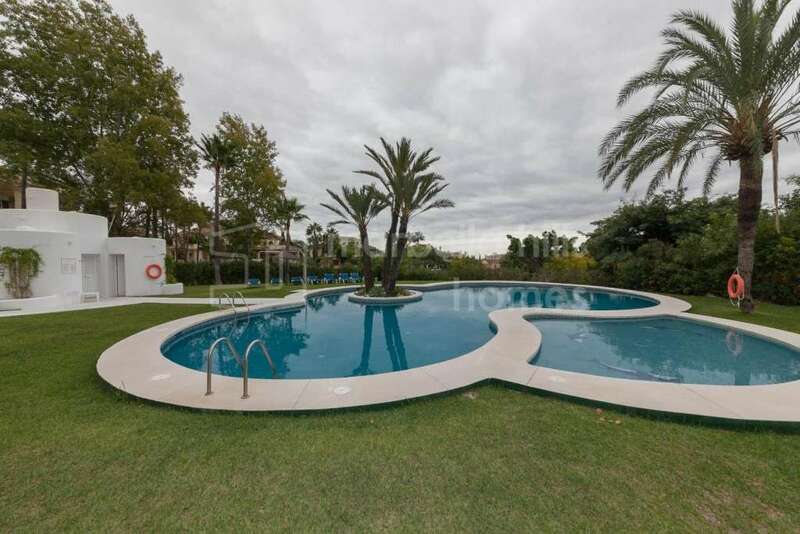 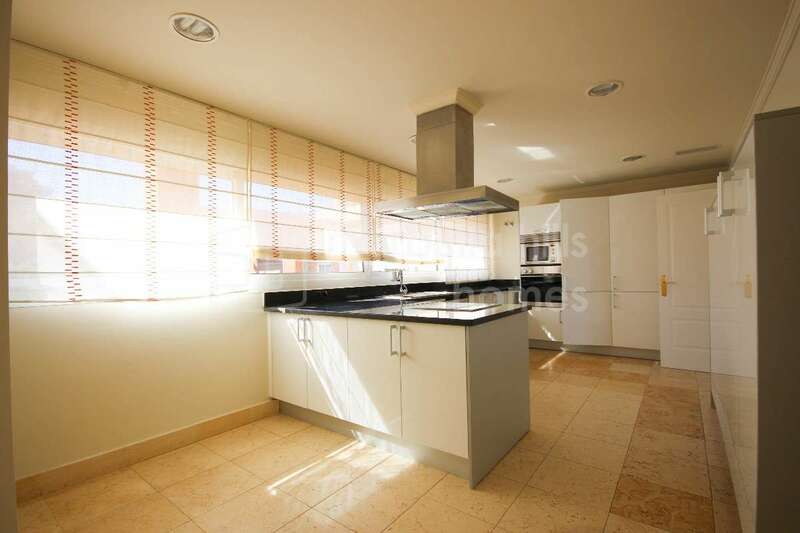 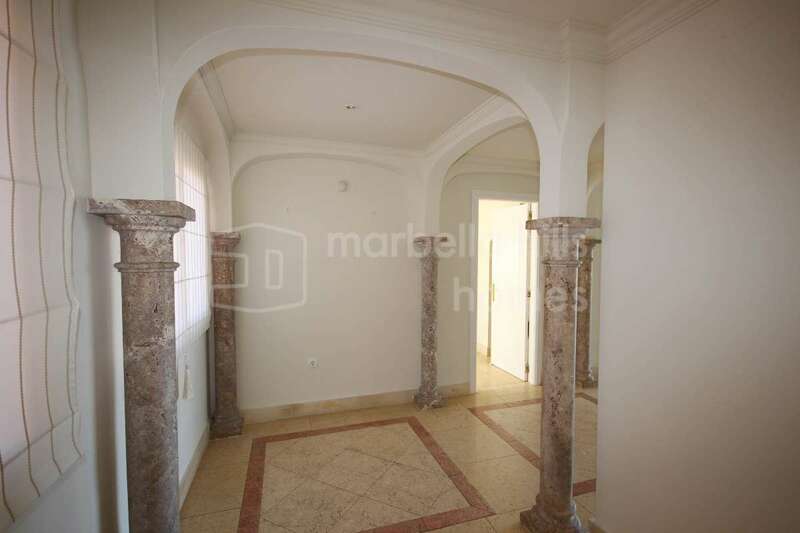 Splendid two bedroom penthouse located in Nueva Andalucia in the ultra residential golf area of ​​Los Naranjos and Las Brisas within the private and secure 24/7 Las Alamandas complex, one of the most prestigious and secure in Marbella. 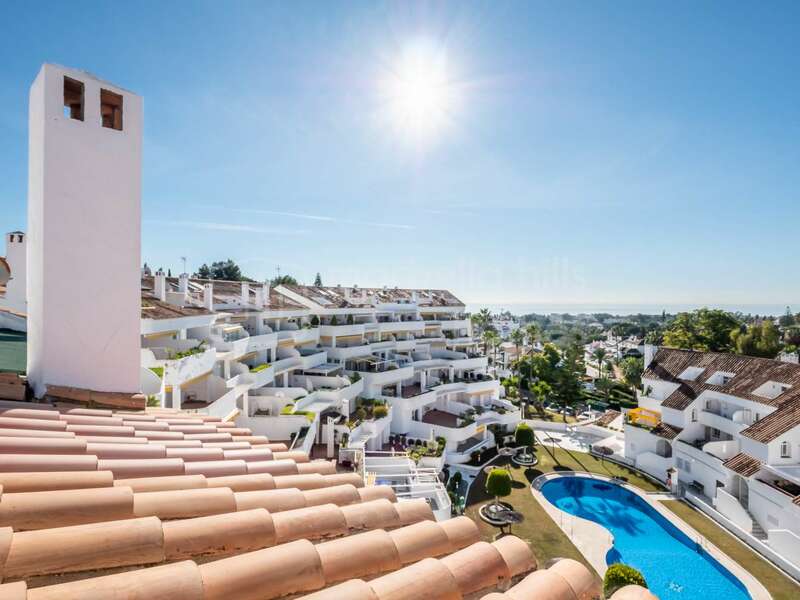 This luxurious south-facing penthouse offers a very privileged location in the first line of the complex, enjoying a unique panoramic view of the golf course and the sea! 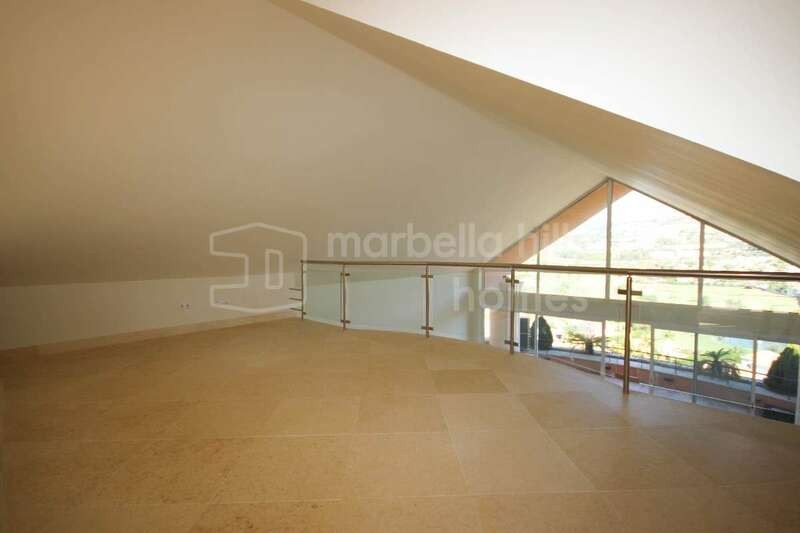 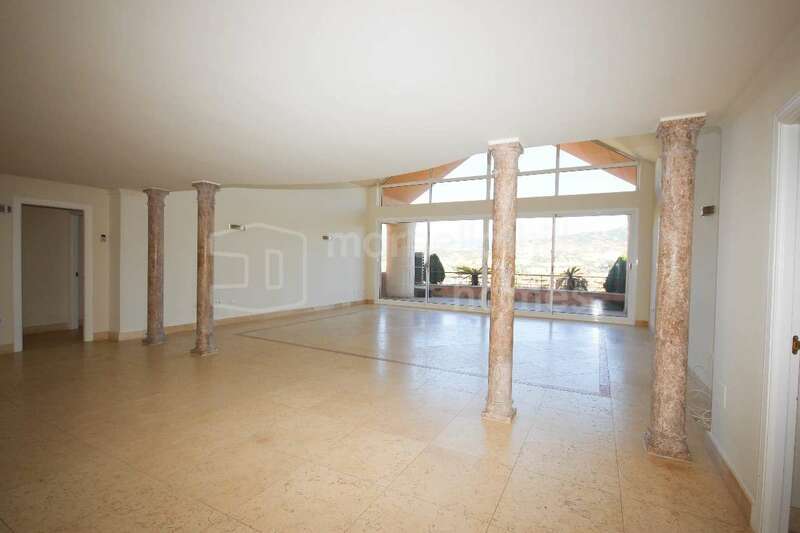 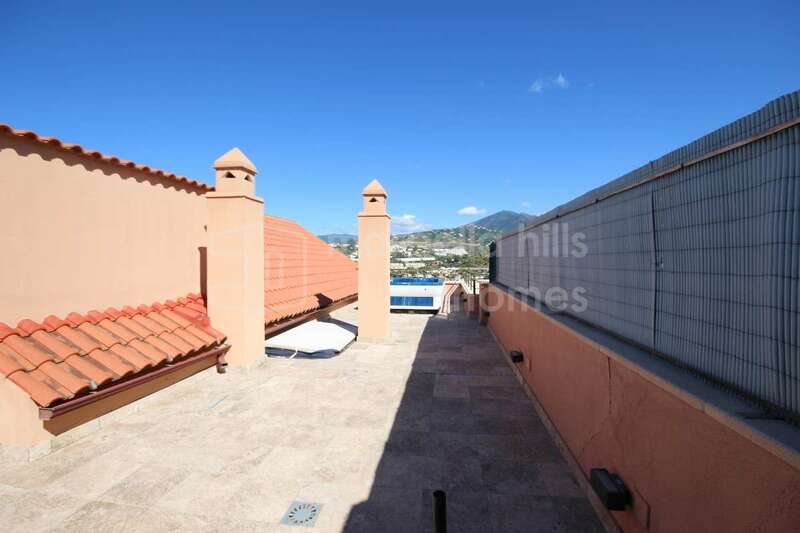 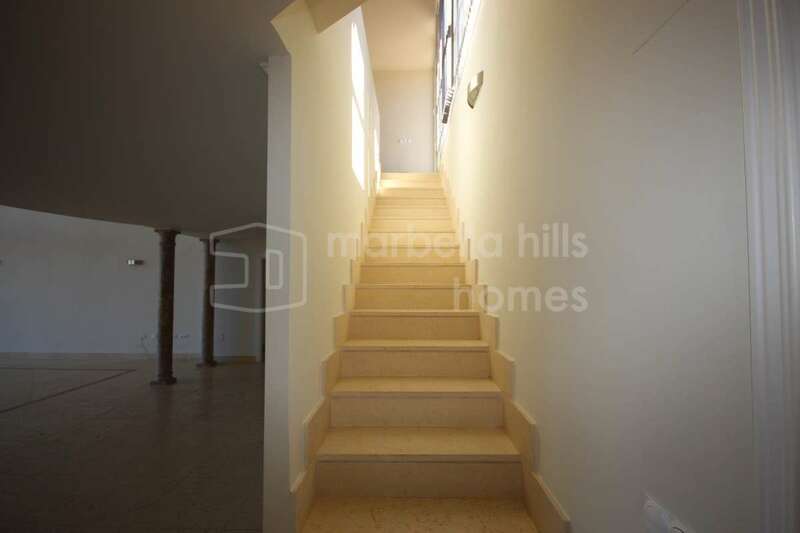 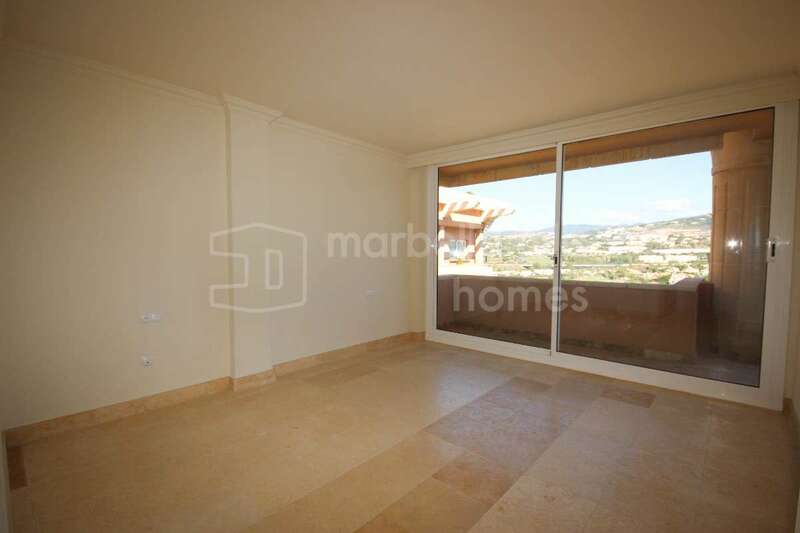 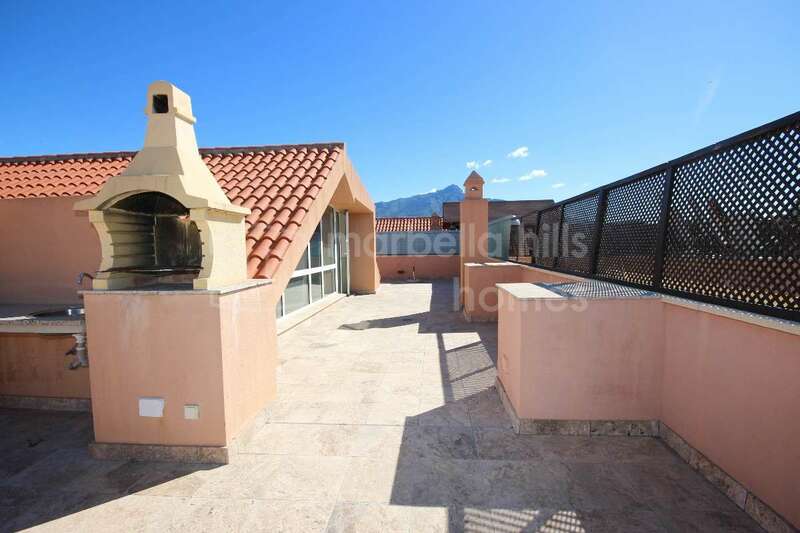 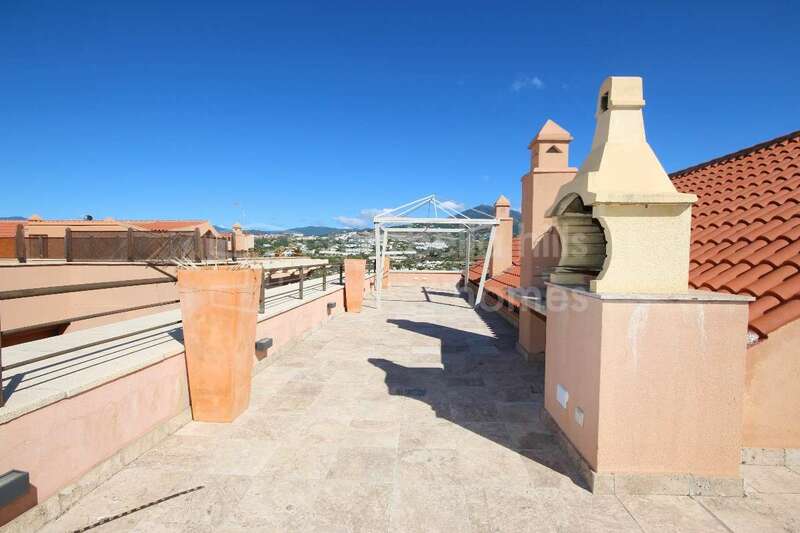 The property consists of a large living – dining room with a fireplace giving direct access to a large terrace of 50 m2 with a breathtaking view of the sea, this volume next to a kitchen open high- tech fully equipped upscale. 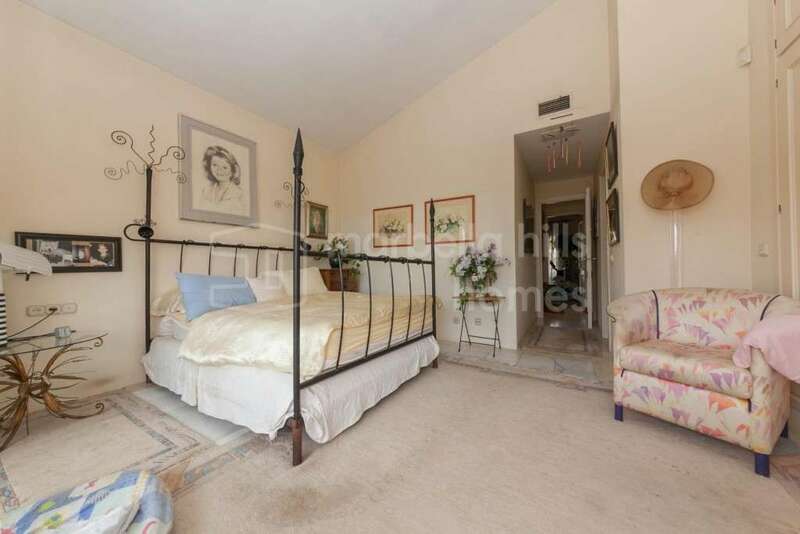 A corridor leads to a superb master suite with a luxurious bathroom with Jacuzzi bath, built-in storage and direct access to a private terrace, then a guest bedroom with bathroom. 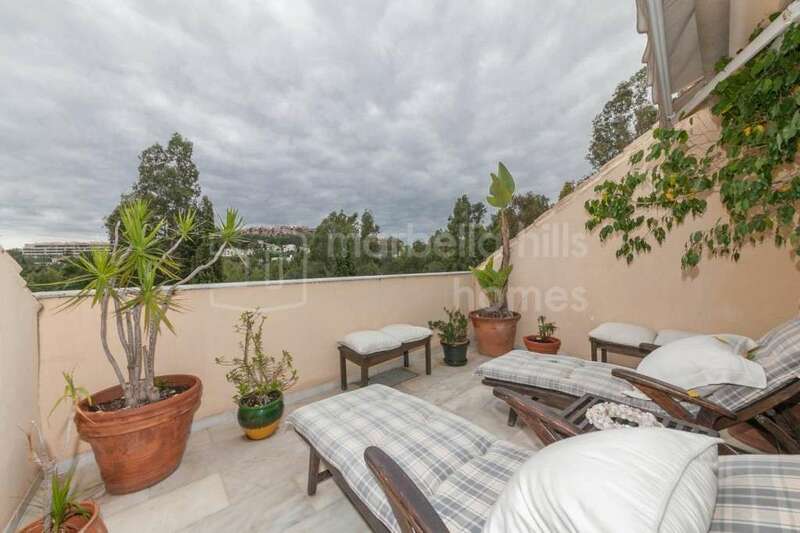 and a private terrace overlooking the gardens and swimming pools of the residence. 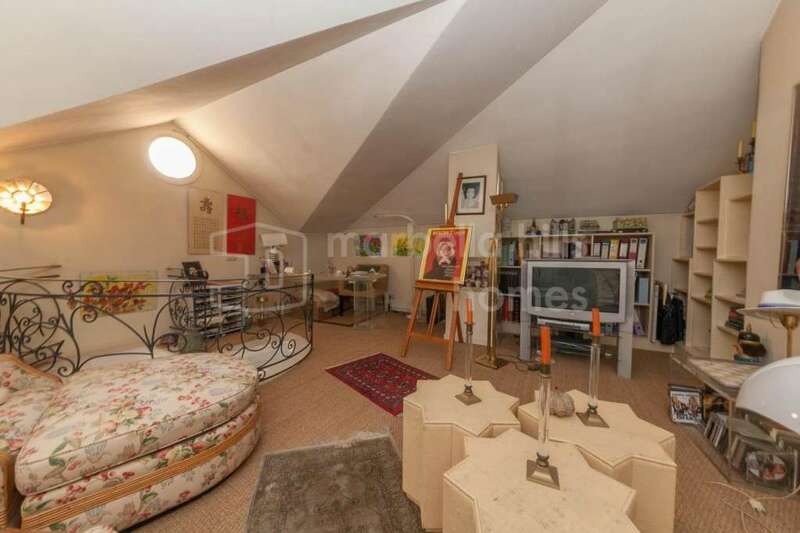 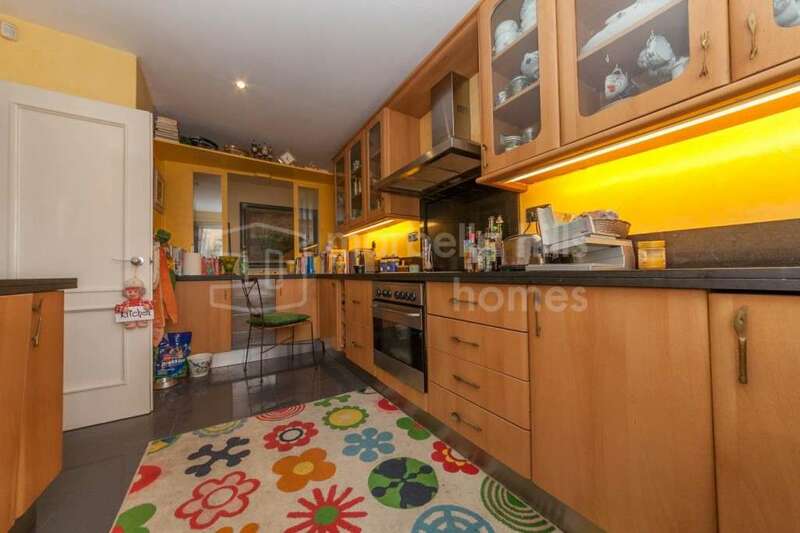 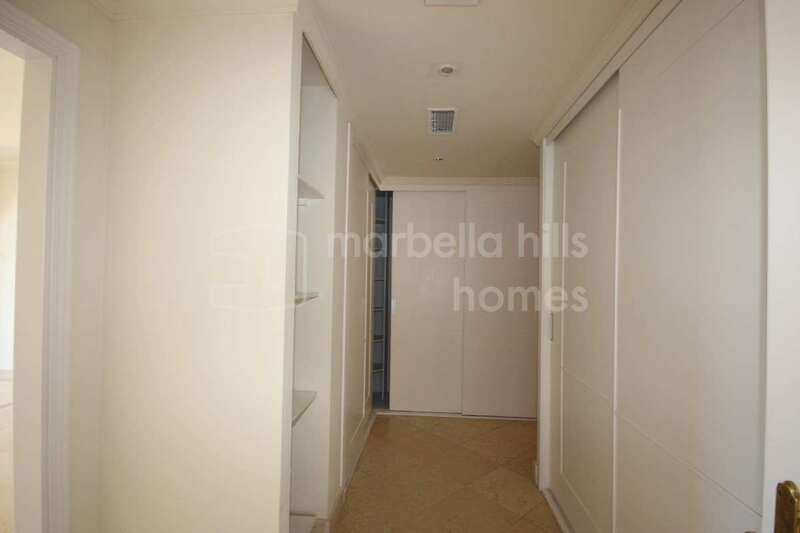 A parking space in the underground garage and a storeroom are included. 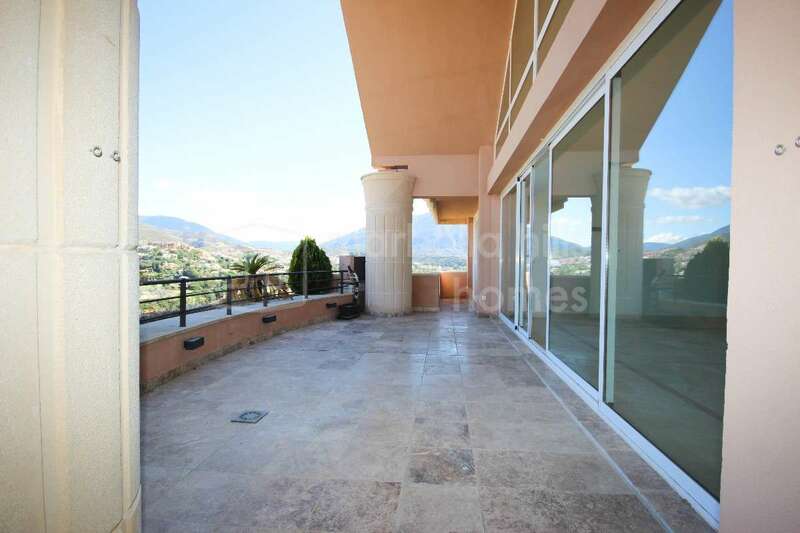 Benefits and high-end security systems. 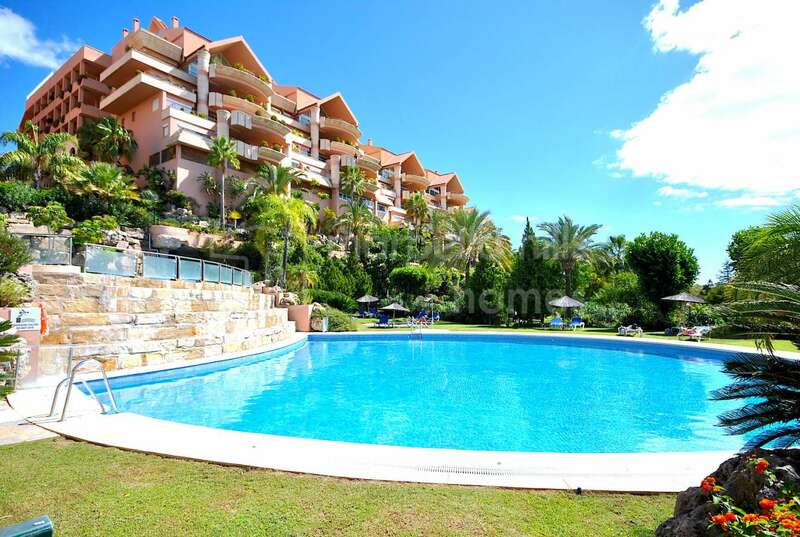 The prestigious Las Alamandas complex features beautiful mature tropical gardens, three large swimming pools (one of which is heated by seawater), a state-of-the-art gym and an ideal location in the heart of the Valley. 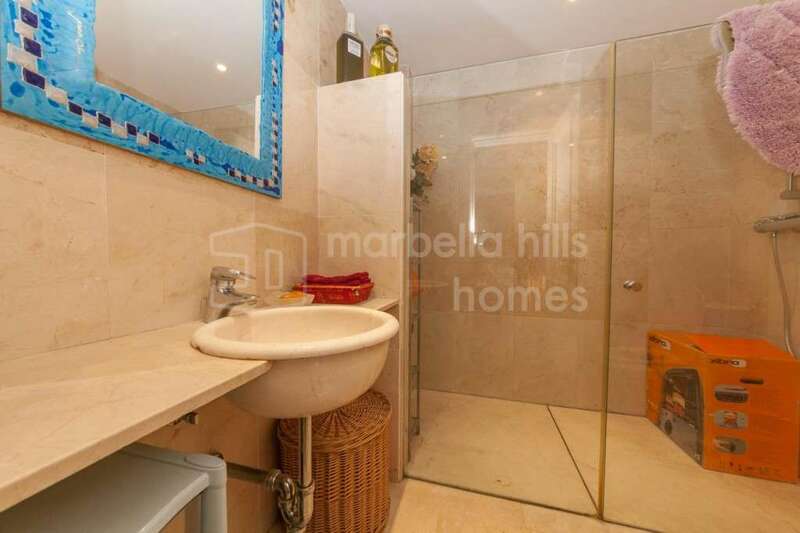 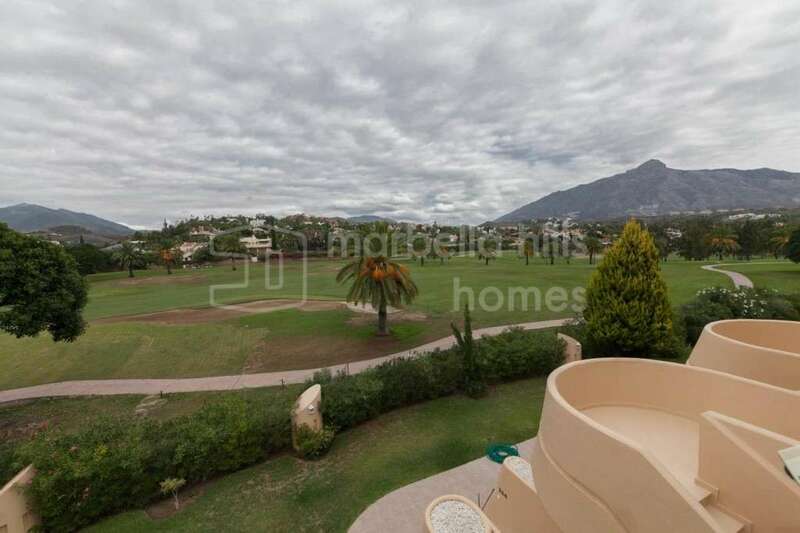 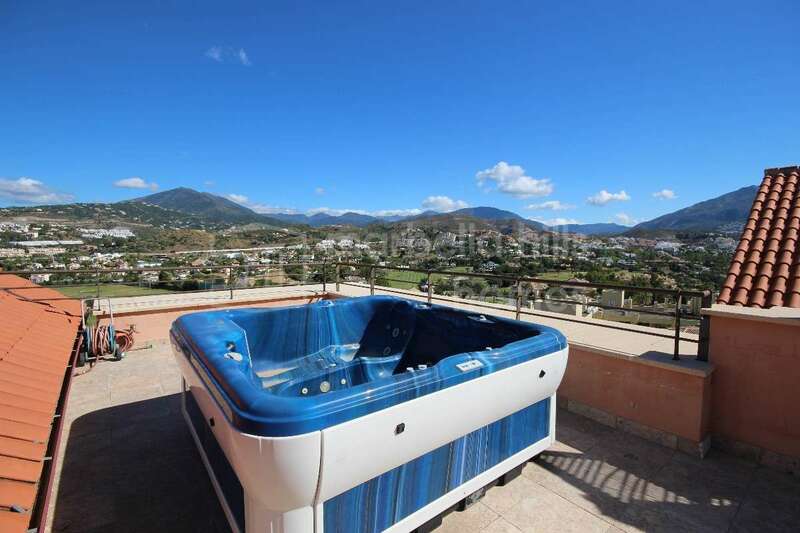 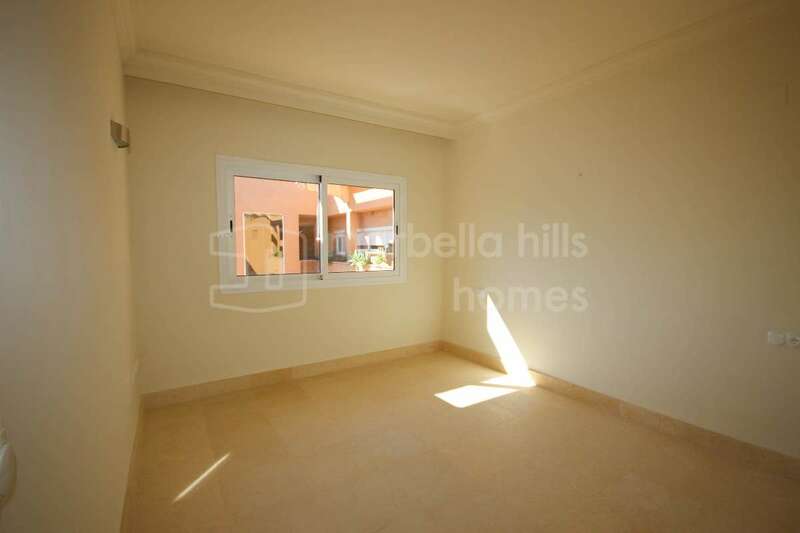 Golf courses, just 5 minutes drive from Puerto Banùs and all amenities! 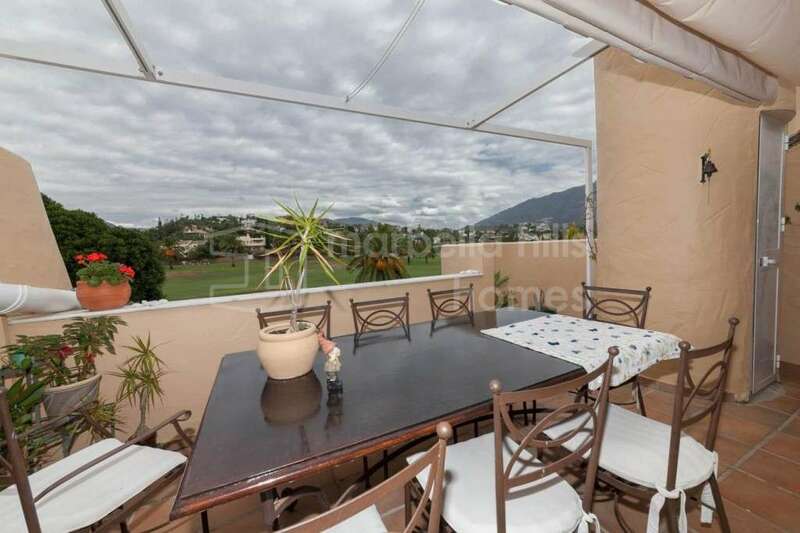 Fully fitted kitchen, Close to shops, Close to schools, Pets allowed, Fireplace, Marble floors, Jacuzzi, Satellite TV, Guest room, Storage room, Gym, Double glazing, Dining room, Security service 24h, Private terrace, Kitchen equipped, Living room, Amenities near, Sea view, Country view, Mountain view, Golf view, Heated pool, Internet - Wifi, 24h Service, Fitted wardrobes, Gated community, Air conditioning, Lift, Panoramic view, Underfloor heating (bathrooms), Close to children playground, Close to Golf, Uncovered terrace, Optional furniture, Excellent condition.